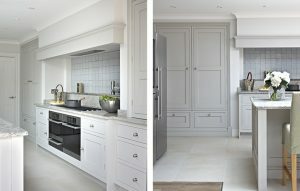 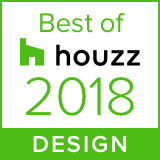 This Surrey Country Kitchen design offers a large and light space which leads out through folding glass doors out into the garden of this family home. 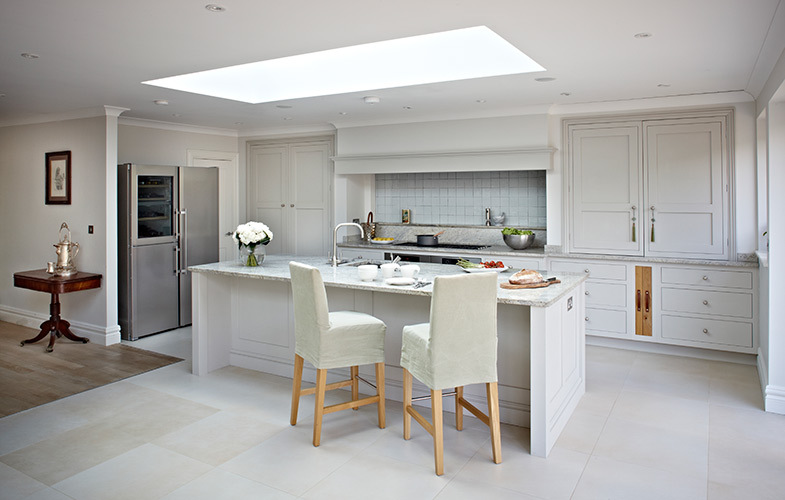 A large skylight above the kitchen island floods this open-plan space with light. 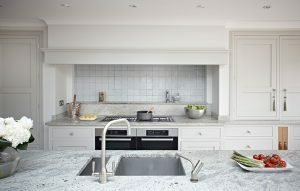 The large island with integrated kitchen sink offers additional prep space as well as a long breakfast bar with comfy stool seating opposite. 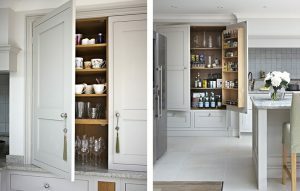 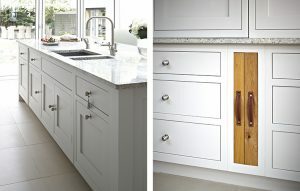 The classic framed cabinets for this traditional country kitchen design are hand painted in ‘Lead V’ from Paint & Paper Library. 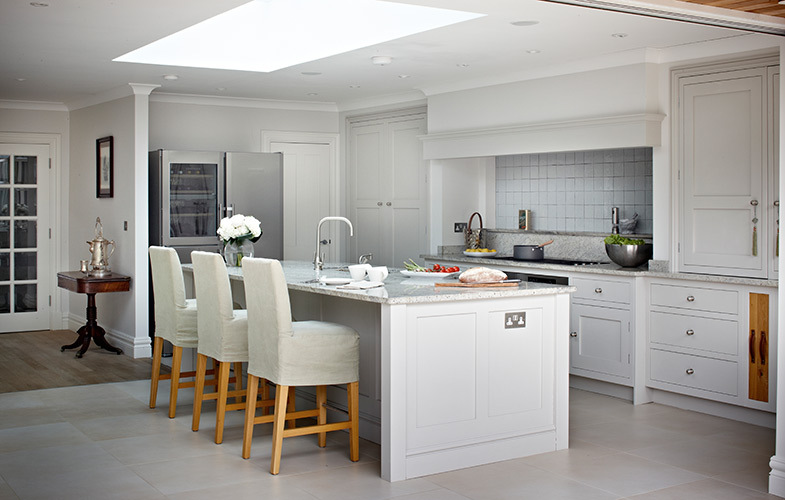 Pale floor tiles and Kashmir white granite worktops provide decadent yet practical touches to this kitchen.